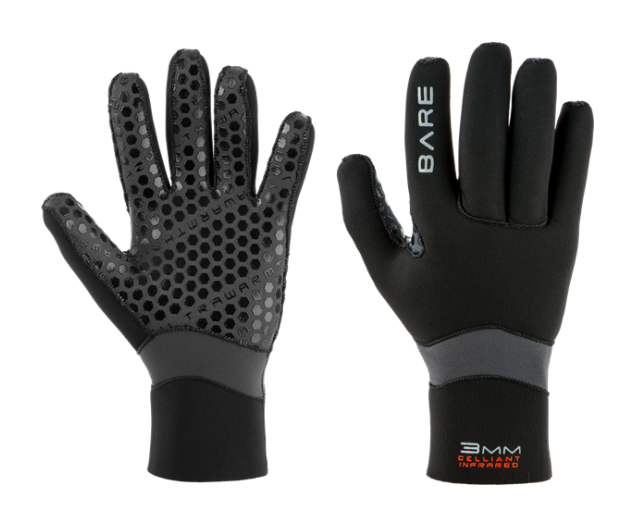 The new 3mm and 5mm Ultrawarmth Gloves feature low-loft Ultrawarmth Celliant® Infrared Thermal Technology embedded in the inner fabric for ultimate warmth during every dive. Celliant® is scientifically proven and FDA-determined to conserve body heat and accelerate thermal recovery. Four-panel design and anatomically correct pre-curved fingers improve dexterity, reduce hand fatigue and increase flexibility. Designed to achieve ultimate fit and comfort, Ultrawarmth Gloves are optimized when used with the full line of Ultrawarmth Accessories.